midnight metallic blue/white, shaved doors, needs work, custom bed. my audio is when i set other peoples alarms off, no video. possibly rat rod. gonna do some work on her in the next few weeks. 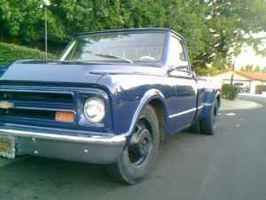 Added my 1968 GMC C30!